THE MOST IMPORTANT PART: On Monday 5 June, to celebrate 50 years of pizza in SA, Marcellina’s in Hindley Street (and note, the Hindley Street store only), from 11am – 4pm, will be selling the original Marcellina special (9″) for just … EIGHTY CENTS. Limit of two pizzas per person. I grew up in Pizza Hut’s heyday. In fact, before Pizza Hut even did the all-you-can-eat thing. And even then, my parents would talk about Marcellina’s and how it was a revelation when it opened on Hindley Street. I was amazed that there was a time when there was so little Italian food in Adelaide, let alone that that time was within living memory. So finding out that this year Marcellina’s celebrates 50 years as a proud South Australian business kind of made me feel … old. The recent gelid weather is perfect red wine and pizza weather, so on Tuesday night, I collected a friend and we headed to Hindley Street to help the Marcellina’s team celebrate. We had no idea what to expect and when we arrived we were a little concerned to see the shop looking quiet and empty. Of course, the great thing about a pizza shop is that there is always pizza. Marcellina’s original store on Hindley Street is also home to a large function room (Bebe’s Room) at the back of the store … and there, across the length of the room, the most beautiful table had been set up. 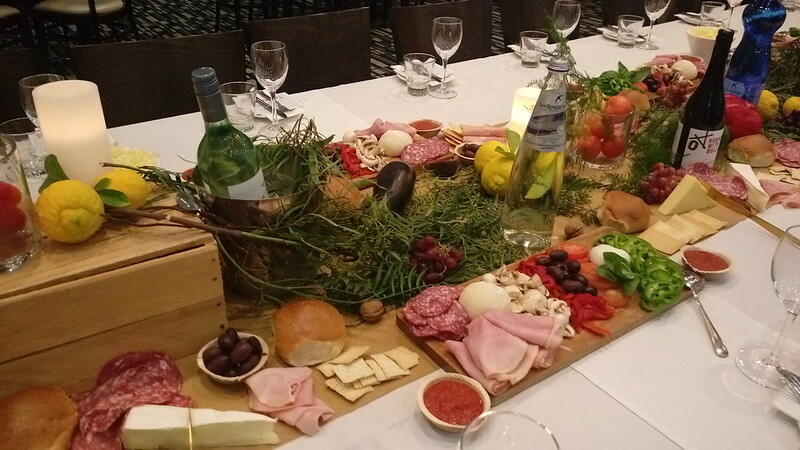 A quick introduction revealed that guests would be making their own pizzas from the amazing spread in front of us! The original idea had included us rolling out our own dough and while that had been shelved as being impractical (thank goodness!) balls of fresh dough were included in platters across the table, just so we didn’t forget why we were there. 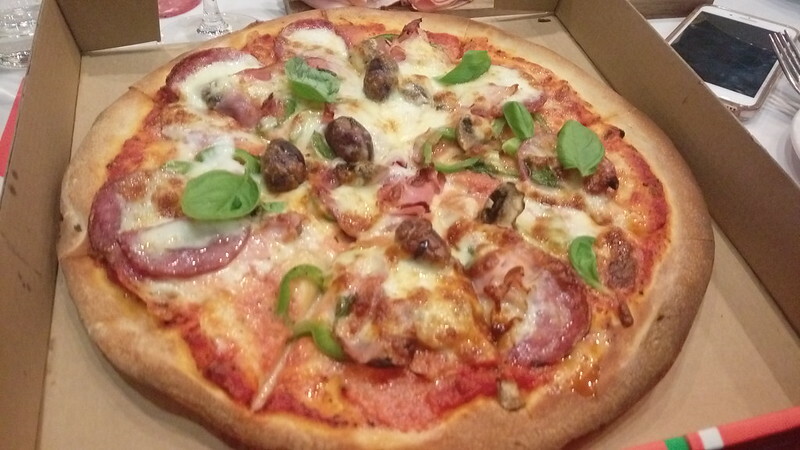 There was also plenty of food for immediate grazing, along with the all-important red wine, but we didn’t have to wait long before a pizza base (in an individually numbered box) arrived and we could load it up as we wished. The Marcellina pizza ovens are capable of turning out a pizza in just SIX minutes so any delay in eating was solely on our own heads. Obviously I enjoyed my pizza (although I do rather wish I’d added the char-grilled capsicum to it) and, because I managed to eat just over half of it, it meant I had a rather tasty afternoon tea the following day! I don’t normally do this but I’d like to commend Sassafras PR and Marcellina’s on what was easily one of the best events I’ve attended. It was well planned and interactive, with a brief, but informative, introduction. The area in which we were hosted was well lit and beautifully set up (important for photos and social media!). Crucially, for a Tuesday night, it ran to time. OK – super-speedy pizza ovens and getting your guests to build-their-own undoubtedly helps in that respect – but for anyone who has to get up the next day (whether that’s for work or for loud children – or a combination of both) this is crucial. Even if you’re not able to take advantage of the 80c pizza special, I’d recommend taking the time to make a pizza pilgrimage to Marcellina’s on Hindley Street. A slice of South Australia’s culinary and restaurant-trade history.